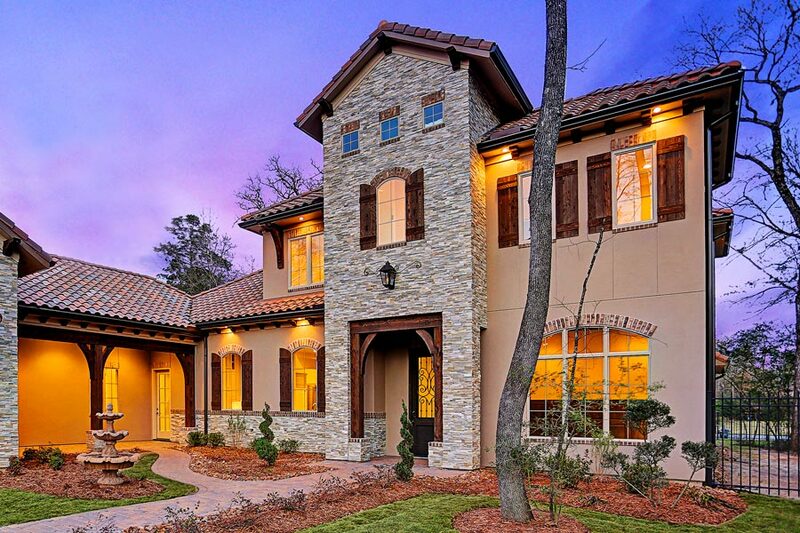 After establishing the resale pricing record for The Woodlands in 2016 with a $7.1 million sale, luxury real estate auction firm Platinum Luxury Auctions has returned to the community with three more “modest” luxury home offerings. On February 4, 2017, the Miami-based firm will offer a brand new estate located in the Carlton Woods Creekside community at a live, on-site auction. Two more elegant properties in the same community will be offered via “High Bidder’s Choice” on February 24. Although recently listed for nearly $2 million, each property will now be sold to the highest bidder who meets or exceeds the auction’s reserve price of only $1 million. Platinum is managing the auction sales of all three properties in cooperation with listing agent Rodrigo Munguia of Houston’s D&R Consulting. The Houston Business Journal, which previously featured Platinum Luxury Auctions in a cover story detailing the popularity of auctions as a means to sell Houston’s finest homes, has released two new stories in the past two days. Both feature Platinum’s auction efforts prominently, and in one case, exclusively. Platinum acts on behalf of wealthy individuals who want to sell their homes, but don’t have to: they want the benefits of a date certain sale and understand that auctions provide an excellent method to combat the traditional pitfalls of real estate sales by creating urgency in the right audience. The full articles on Platinum’s new auctions and its 2016 record breaking sale can be found here and here. 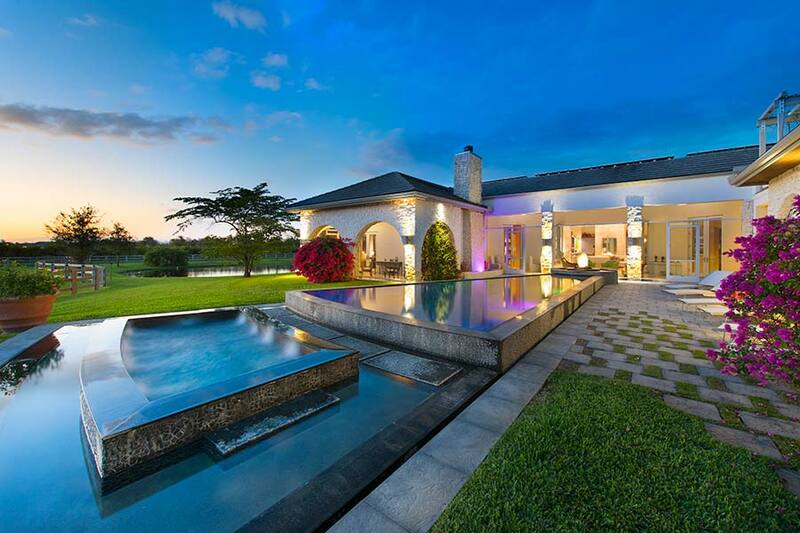 Miami-based luxury real estate auction firm Platinum Luxury Auctions will look to extend its flawless sales record in Wellington, Florida with the offering of a unique, 15-acre equestrian estate this winter. To date, Platinum has closed all of its Wellington auction sales, including the sale of Two Swans Farm ($6.9 million), Wild Orchid Stables ($4.325 million), and a residential home in the area’s Polo Club enclave ($2.365 million). On February 25th, 2017 a luxurious horse property located in the private and gated community of Las Palmas will be sold at a live auction, to the highest bidder who meets or exceeds the auction’s reserve bid of $4 million. The property was recently asking $11 million prior to the auction announcement. Listing agent Matthew Johnson with Engel & Völkers of Wellington is working in tandem with Platinum for the transaction. More specifically, the 10-acre portion of the property – which contains all of its structures – will be offered with the $4 million reserve. An additional, 5-acre parcel is available separately, with the price being negotiable between buyer and seller. The undeveloped, 5-acre parcel is contiguous with 10-acre parcel, and is currently used only for additional grazing or riding space. “This property should readily satisfy those looking for both a luxurious residence and a working horse farm, and those two items can be difficult to find as one unit of sale in Wellington,” stated Trayor Lesnock, Platinum’s president and founder. The property’s main residence offers nearly 6,400 sf of living space, with 4 bedrooms and 4 full baths. Features include an infinity-edge pool and spa, 1,400-bottle wine cellar, library, media room, office, fitness center, and a “tower” on the second level that is currently outfitted as a yoga studio. There are also two generators, in addition to “Smart Home” technology that is controllable via mobile devices. Additional structures include a 3-vehicle garage (with A/C), guest cottage, 12-stall barn with enclosed lounge and attached loggia offering views of the riding arena and fields, a dedicated set of grooms’ apartments with an additional garage for larger equipment, a 215-ft-by-125-ft riding arena, and 6 paddocks. The property is also quite “green:” it draws additional water from both a well and from rain-catchers located in the paddocks, and it also collects energy from solar panels – which can in fact create an energy surplus that can be sold back to Florida Power & Light. Wellington, Florida has a well-established reputation as one of the world’s most prominent equestrian marketplaces. The area is home to the world’s longest-running horse show and competition – the Winter Equestrian Festival. The event draws the Who’s Who of the equestrian world to South Florida each year, many of whom then lease or purchase property in Wellington. The community boasts residents such as Bill Gates, Tommy Lee Jones, Bruce Springsteen, and billionaire media mogul John Malone. The property is available for previews between the hours of 12 and 4pm (EST) every Friday through Sunday, until the auction. Additional information is available at WellingtonLuxuryAuction.com, or by calling Platinum’s offices at 800.743.1368. After establishing the resale pricing record for The Woodlands in 2016 with the $7.1 million sale of a Carlton Woods estate, luxury real estate auction firm Platinum Luxury Auctions has returned to the community with what may be considered a more “modest” luxury home offering. On February 4, 2017, the Miami-based firm will offer a brand new estate located in the Carlton Woods Creekside community at a live, on-site auction. Although recently listed for $1.6 million, the property will now be sold to the highest bidder who meets or exceeds the auction’s reserve price of $1 million. Platinum is managing the auction sale in cooperation with the property’s listing agent, Rodrigo Munguia of D&R Consulting. The Creekside estate fits well within Mr. Ashcroft’s parameters, as it combines modest luxury home pricing with brand new construction. It was completed in the fourth quarter of 2016, and is awaiting its first owner. The two-story home offers approximately 4,907 interior square feet of living space and a total footprint of nearly 6,800 square feet when including outdoor living areas and a 3-car garage. With 5 bedrooms, 5 full and 2 half baths, there is ample room for family and friends. The foyer and great room feature 24-foot ceilings, creating a bright, welcoming space. Other property features include a gourmet kitchen with oversized center island, formal dining, a “bonus room” suitable for a home theater, fitness center or office, and a lovely outdoor courtyard featuring a summer kitchen and fireplace. The courtyard can also accommodate a pool, should the new owner wish to install one. Sometimes referred to as the “Beverly Hills of Texas,” Carlton Woods is the premier gated community within The Woodlands, a 44-square-mile, master-planned development located just north of Houston. The amenity-rich area is known for its neatly manicured communities, golf courses and clubs, and its collection of impressive addresses. Beginning January 11th, the property will be available for previews between the hours of 12 and 4pm (CST) daily, until the auction. Additional information is available at JohnathanCtLuxuryAuction.com, or by calling Platinum’s offices at 800.916.5676.